Oh, American Idol. You spawn future politicians (look no further than Clay Aiken), Oscar winners (Jennifer Hudson), Broadway stars (Fantasia Barrino — and hey, add Clay to that list, too. Is there anything Clay can't do? ), but here's one you might not have expected: Jack Black lookalikes. It's pretty apparent that contestant — and now member of the top 10 — Caleb Johnson is the new Jack Black, and not just because of the fact that he bears a striking resemblance to Hollywood's comedic force. The 22-year-old from Asheville, North Carolina (CLAY AIKEN CAME FROM NORTH CAROLINA, TOO! Okay, I'll put my 10-plus years of fandom to rest) has claimed that he's going to "bring a different energy and vibe to the Idol stage. It's going to be a lot darker and a lot more convicted." Convicted? We don't know what that means exactly (convinced of a crime? Shoplifting? Like, angry shoplifting style? ), but whatever "convicted" sounds like, it sure sounds good. To me, Johnson feels like an artist, not just a singer who really can nail karaoke tunes. But anyway, back to Black. You might be familiar with Black's rock'n'roll times from School of Rock, but he actually has a bigger track record with guitars than you may now. 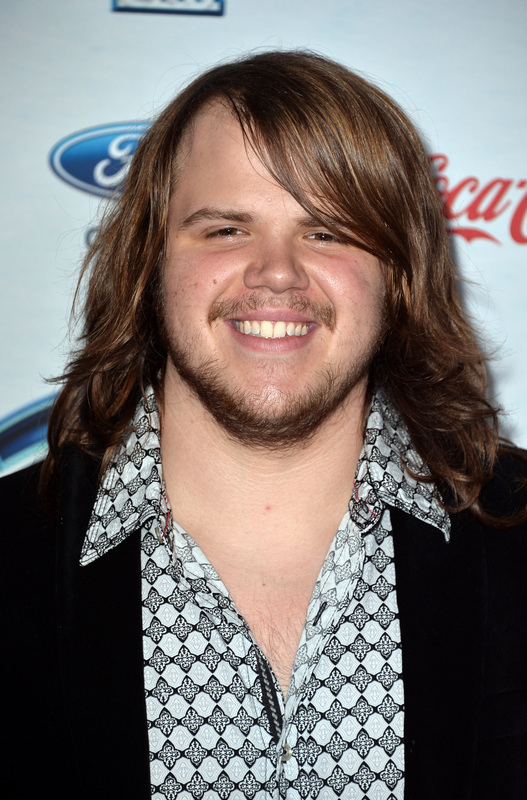 There are, in fact, a few reasons to say that Caleb Johnson is like Jack Black. You wouldn't normally hear Rush on American Idol, but Johnson nailed "Working Man." And remember when he sang "Skyfall" by Adele? Adults alike can agree that Johnson is fun to watch, but American Idol is obviously family-friendly fare. Remember School of Rock? We're talking about similar same skill set, here. Tenacious D, his music duo responsible for the brilliant "Tribute" and the joyously crass "F*ck Her Gently," reminds us that we're drawing comparisons to not just an actor, but a musician, too. Black actually has entire anthology of novelty rock songs, and Caleb might too, one day. Naturally, his countenance draws obvious comparisons. We can't not list that one.